For Verizon customers sporting the LG G2, today is a day that they have been dreaming about for some time. Android 5.0 is now on the way to the handset via an OTA update and changes the GUI so that it follows the LG G3 and the Material Design look of Android 5.0. The Notification panel will require a single swipe up to display Notifications and Quick Settings at a single time. Swiping up again will dismiss Quick Settings, leaving the Notifications on the screen. Other changes include Lock Screen notifications, and the new "Recent Apps" menu which includes Screen Pinning. The latter prevents the phone from opening any other app except the one that is pinned, until the user decides to unlock it. Holding the "Back" and "Recent" buttons will unpin the phone. Also included are the 64-bit ART compiler that opens apps faster, and Project Volta for enhanced battery life. Because of the size of the update, you should make sure that you are connected to a Wi-Fi network when downloading and installing it. You should also make sure that your battery is charged to at least 50%. And keep in mind that the update is sent out in waves. If you don't receive the update today, it might come tomorrow or the day after that or the day after that. The point is that the update will eventually arrive. By the way, if you're keeping track, the new software version is VS98039A. A lot of this has to do with the carrier as well. I work at a VZW store and one of our reps that uses Sprint got his 5.0 update to his GN4. I however with my VZW GN4; still have not received anything. 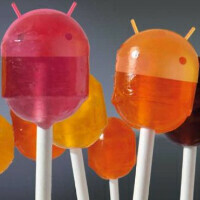 Lollipop isn't all that great. Had it on the Note 4 AT&T now for about a week. Project Voltron lol.. (Volta) is a big let down. Battery is the same, even slightly worse. I went and grabbed a new battery as well. I can say it boots up faster. That's about it. I'm glad that LG ditched that menu button as the default on the G2 with the lollipop update. I'm rocking the S4, and I wish Samsung would allow the menu button to be used as a recent apps switcher. I'm finding that more and more apps are rendering the menu button useless, so I really only have 2 buttons on my screen (home and back). I don't worry about when updates will arrive any more. As long as my phone runs relatively issue free, then I'm good. I'd hate for Samsung to rush through the updates, have tons of bugs, and then the carriers take months and months to fix the bugs, which will make using the phone a grueling experience. Plus, manufacturers will always place the emphasis on new phones. All of them do this, with the exception of Nexus devices (and even nexus devices kind of do this) and Apple.